Obviously there was a whoooole load of slap on there, but today I’m going to talk about the look I created using a couple of Oriflame products which were sent my way. Being a beauty blogger, there’s always a bit of a focus on how you wear your makeup. People aren’t going to read my beauty blog unless I prove my salt, so let’s take a closer look! MY GIANT FACE COMING UP!! Da- dahh! The party face! I’ve been doing a lot of travelling around over the holidays so it’s vital that a full-on face like this can be done with as few products as possible. I’ve used about 5 products on this face, namely an eyebrow kit, an eyeliner, a lipstick and some shimmer…. And it’s easy peasy to do! Wanna know how? Read on.. The key to this look is in the above products. 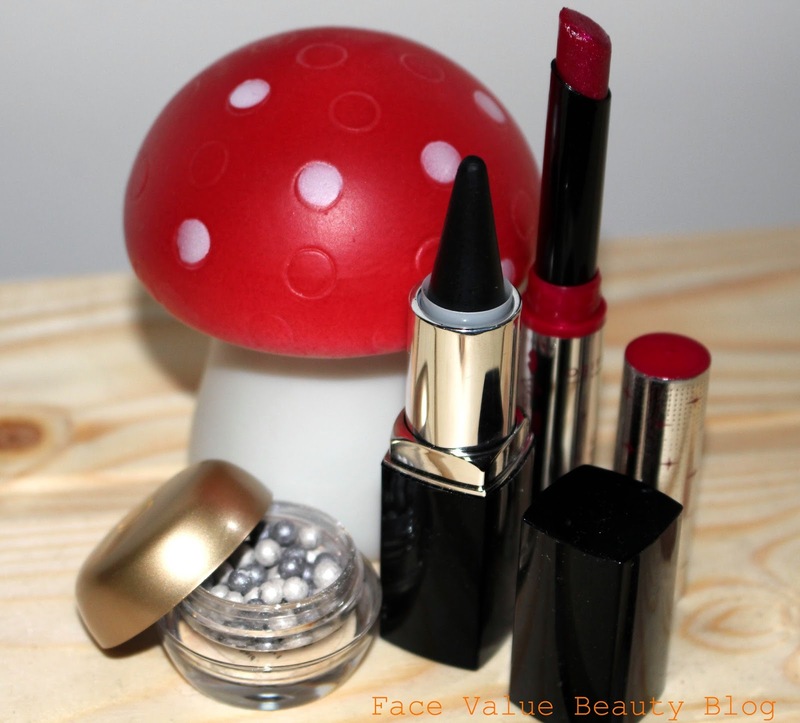 A beautiful lipstick, a kohl stick and a pot of shimmering pearls, all by Oriflame. 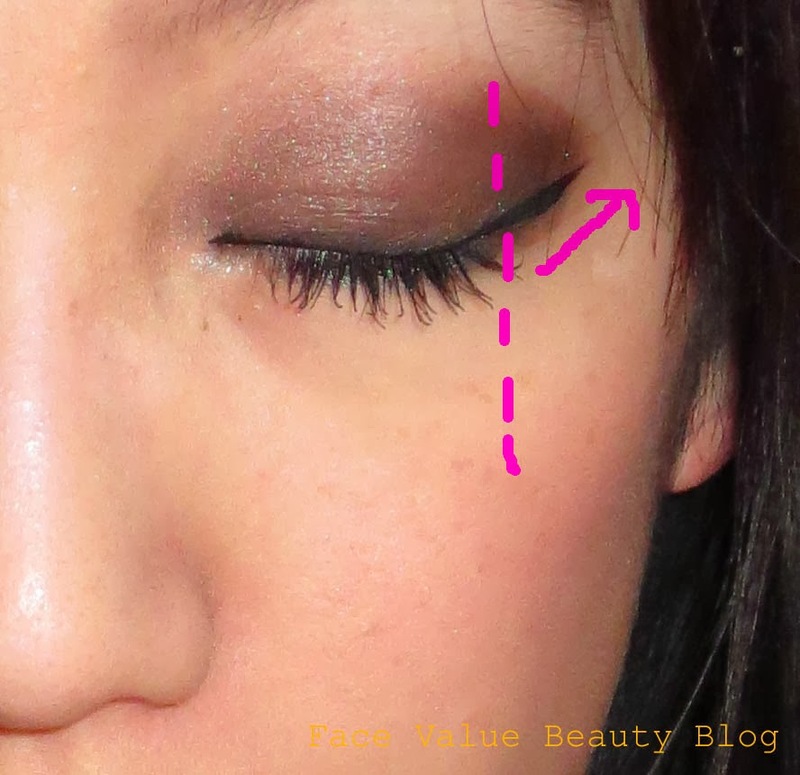 I also used the Oriflame Eyebrow Kit which I reviewed previously. 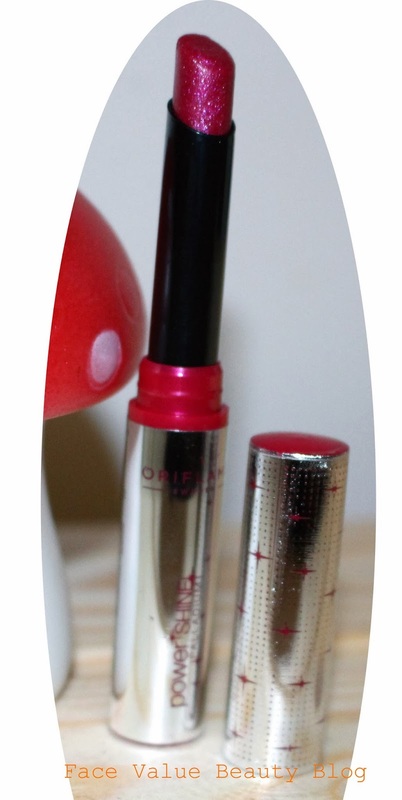 The multi-tasking star of the show is definitely this Oriflame Kajal Eyeliner. Like I’ve said before, I lovesss the Kohl. You can use it to add intense sootiness when lining eyes, or you can blend, blend, blend it and it has an eyeshadow effect. I lined the eyes with the Beauty Kajal Eyeliner and blended upward and outward with a fluffy headed make up brush. It’s got Coconut oil in it, so it’s creamy and easy to blend. To add a bit of 3-Dimensional shine, I then swirled a brush across these Giordani Gold Eye Pearls and dusted it over the Kohl to make it look a bit less severe, and a bit more party-partay! I was a bit over-zealous with my swirling, I managed to swirl half of them out of the pot! Keep calm and swirl slowly. Going back to the original picture, take a look at the corners of my eyes– I’ve gone for a serious flick there at the outer corners. It’s a good 5mm away from the eye, which makes my eye look a hell of a lot bigger than it actually is. Trade secret to bigger eyes! See the diagram on the right- I’ve outlined where my normal eye ends. This was the first time I’ve used the Power Shine Palladium lipstick and it is laaahvely. Smooth and light on the lips and smelling of watermelon, it leaves lips looking luscious and absolutely blinging!! A glossy, sparkly lip livens up any look and the glitter is perfect for a party! The best thing is, it doesn’t actually look very glittery when it’s on so it’s not OTT. It comes in the shades on the right, but this one is Fuschia Palladium..
And there we go – my party face, in less than 5 products! 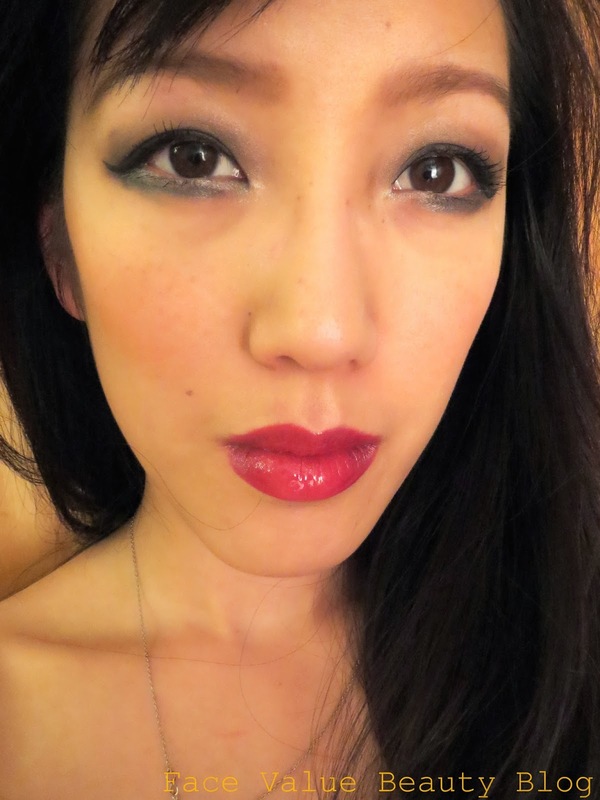 I don’t normally do lips AND eyes, but hey, it’s New Year’s Eve! What do you like to wear when going out? Is it a special lipstick, or are you a smokey eye fan? Dior Lip Glow Colour Reviver Balm: Di-awesome or Di-awful? 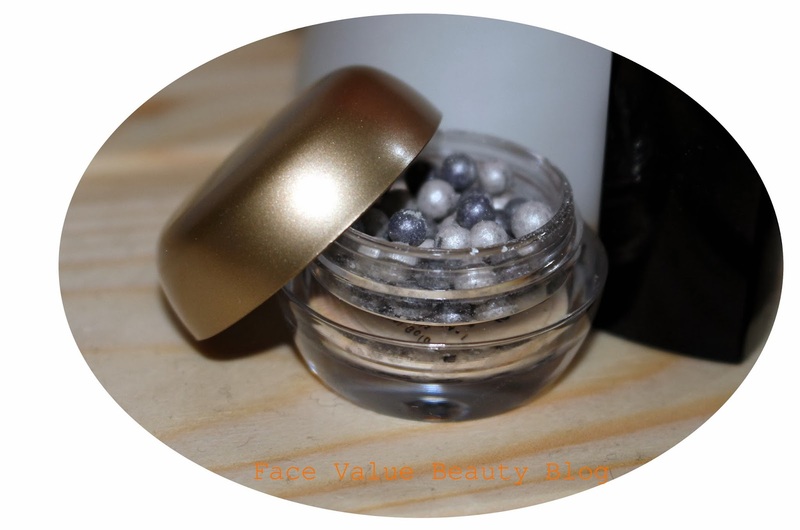 Next Post WIN: Face Value 1st Birthday Giveaway! That lipstick is so very stunning! Love these Giordani Gold Eye Pearls and would love to try them! we have oriflame cosmetics in my country,i love the lipstick and the smoky eyes you had! !i've never tried the eye pearls!! !i think i sould,i like your presentation!